We have all at some point encountered something out of the ordinary. Which proves that people out there are not afraid to do pretty much anything they want. Some like putting jeans on trees, others want an Egyptian sphinx in their back yard. You named it, people have done it. Now, I know most of the time you look at certain things out in the world, you think about them and talk about them with your friends. However, there are people that have taken pictures whenever they saw something out of the ordinary and decided to share it online. Here are a few of those. 1. This woman knows a lot about fashion. 2. These two guys dressed up like Jay and Silent Bob and hung out in front of a convenience store all night. Smart right? 3. Wondering how many discussions go around at her family events? 4. 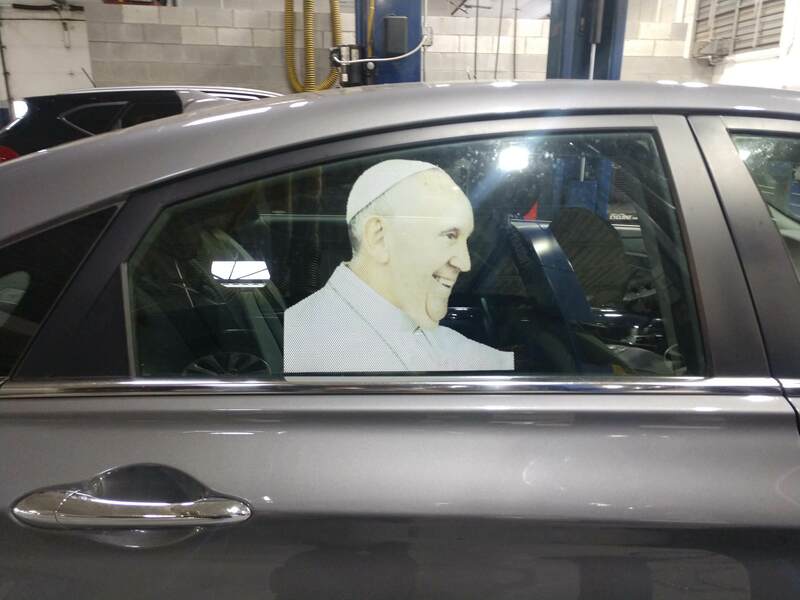 The Pope made an unexpected visit to this shop today. 5. I genuinely want to know what happened during this meeting. 6. Have you ever seen something and thought “I never knew this could happen?” Well, this is it. 7. Nothing out of the ordinary here, just keep on walking. 8. A man with a bike suit on a bike. 9. Okay, but these jeans look good on them! 10. Here is what happened when the triple foam broke at the car wash.
11. This does not suspicious at all. Totally blending in. 12. Is that a halo above her head? The timing and position are perfect. Real life angel. Have you ever encountered something of this nature? What was it, we would love to know. Comment in the section down below.